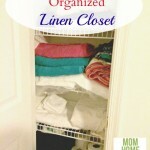 I love the idea of having a list on your phone with the items stored away in the attic. We store quite a number of things in our attic and it’s so easy to forget the items buried in the far end! Thanks, Tee! I always forget where I’ve stored things. lol! 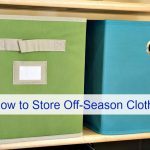 Your last tip about placing the empty storage bin in the attic, and then adding to it is so smart! 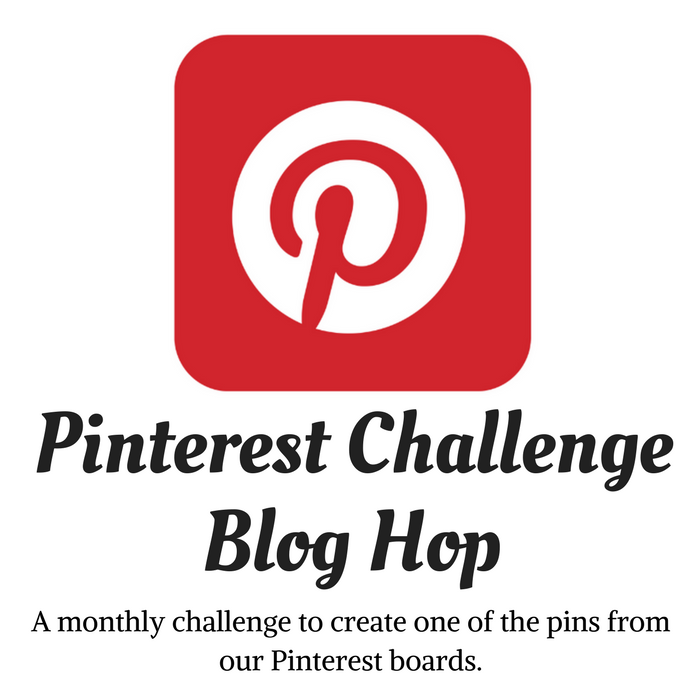 Thanks for linking up at Homestyle Gathering! Pinned! Thanks, Julie! Love your new link party! 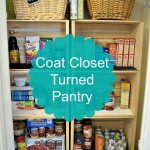 I wish we could store stuff in our attic! I love those attic shelves. 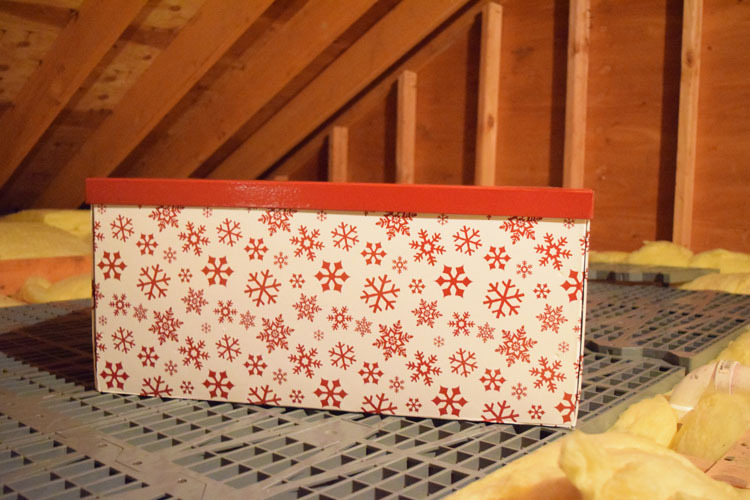 I want to set aside some space in our basement for shelving for holiday and my crafting props this year. Wish me luck! LOL! 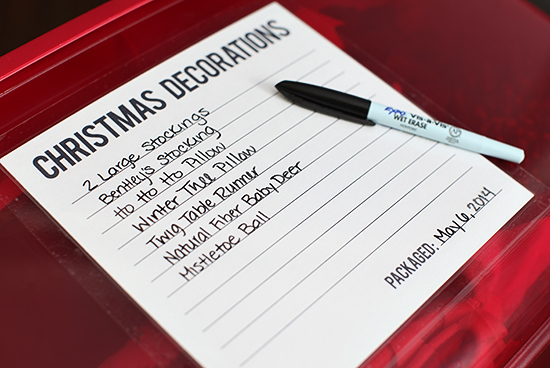 I hope you get some crafting storage this year, Carrie! 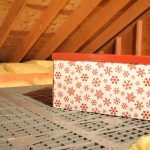 Great tips for the attic, our attic is empty, but we’ve talked about using it. Those are really neat panels to go over the attic. That was an inspiring post. We have a few floor boards in our attic, but have lots of space that isn’t floored. 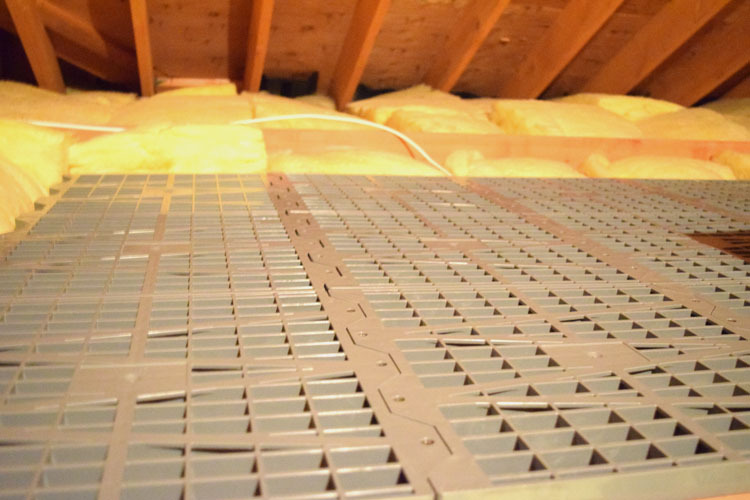 We could sure use some attic deck panels to help us get that space organized. You should look into the Attic Dek panels, Kristie! They are easy to install. Thanks for stopping by! 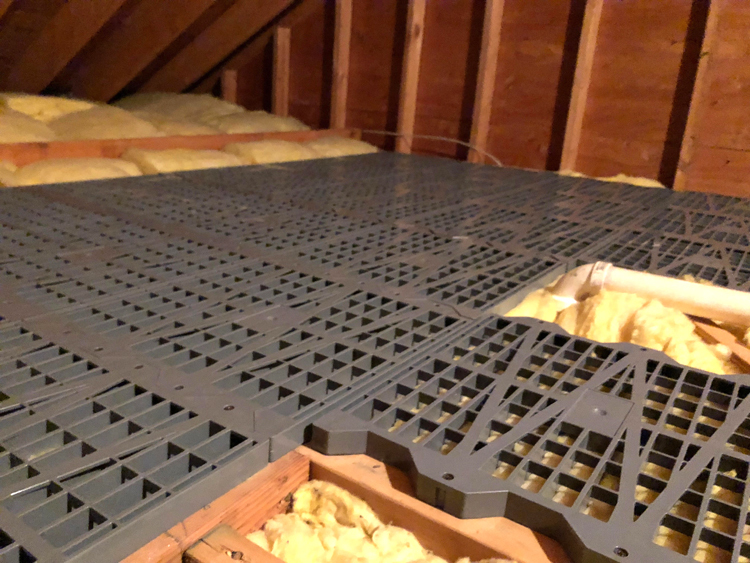 How have I not heard of these flooring pieces for the attic? We were just up in our attic last summer working on plumbing/ heating and that would have been so handy! We don’t have an access ladder to get up and down easily but I think it’s a really smart idea to keep a list of what is stored out of sight! Pinned. Hi! Hope you can get some flooring in your attic. You could also purchase an attic access ladder, too. Thanks for stopping by! 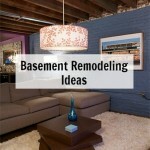 Thanks for these tips — we don’t have an attic but I know I can apply them to other areas of our home. We have so much to clean out in our attic, I need that floor, thanks for the great idea. 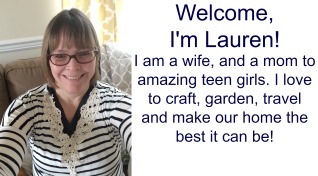 Brilliant suggestions, Lauren. I had never heard of Attic Dek. Good to know that exists. I’m a big list person, so I’m definitely on board with your inventory system. Pinning! This inspired me to get cleaning my attic! We have an attic just like that, and my husband added flooring several years ago. It started out real nice, but since it is unbearably hot in the summer, and unbearably cold in the winter, things tend to just get shoved up there. 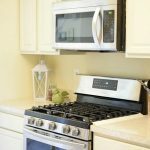 It’s time to tackle that space! 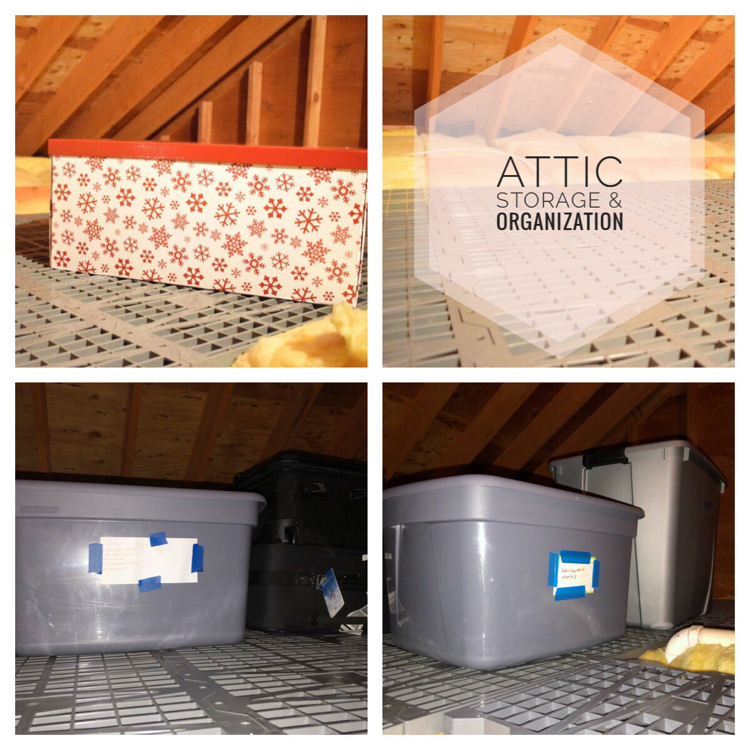 Good luck with organizing your attic!